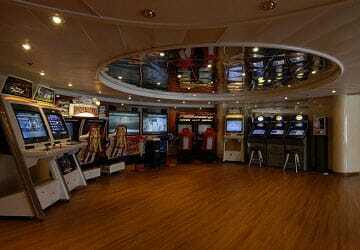 The recently modernised Zeus Palace passenger ferry features numerous facilities to enhance your journey with a choice of over 200 well equipped cabins, a selection of coach seats, a bar, nightclub/disco, à la carte and self service restaurants, a videogame room, shop, a swimming pool with a bar, health center and a children’s play area. The Zeus Palace offers well equipped air conditioned en-suite cabin accommodation with a choice of inside and sea view (outside). For those who’d prefer not to book a cabin, coach seats are an alternative option. 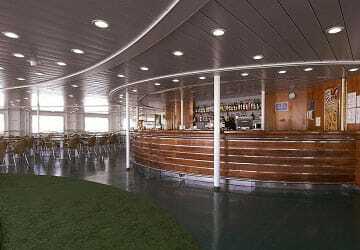 Onboard you can choose form a well put together menu in the à la carte restaurant or alternatively choose from a large selection of dishes in the self service restaurant. 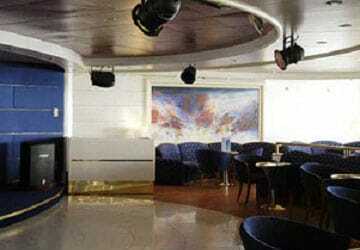 There’s also a choice of bars onboard the Zeus Palace including an outdoor swimming pool bar! 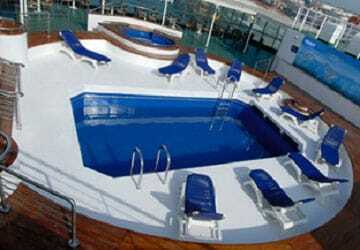 There’s also a swimming pool - open when the weather permits, and a health center. 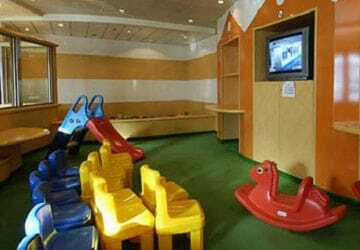 Children are well catered for on the Zeus Palace which features a dedicated child’s play area to keep younger passengers occupied during their trip. There’s also a video games corner for older children. 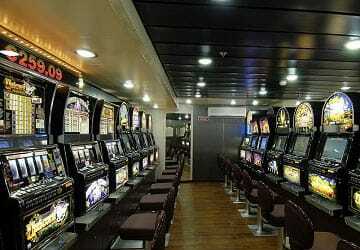 Please Note: Whilst we have taken great care in making our Zeus Palace guide as accurate as possible, onboard facilities, services and entertainment may vary depending on the date and time of year that you travel, facilities mentioned may change without notification and ferry companies reserve the right to operate vessels other than those mentioned at time of booking without prior notification. The journey was really good. 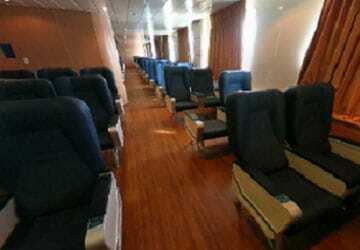 The only bad thing was about the reserved seat, they are old and all ruin so that I preferred to stay on the deck. No chances to get the boarding ticket and no indication on where to get it. Really long boarding times and underneath a really hot sun. The common area became a dormitory (even during the day) and all the seats where busy becouse of that. I did not like only the milk at breakfast, the rest it's ok.
Our trip was comfortable and relaxing. 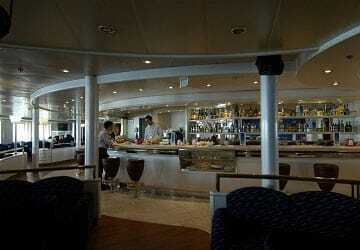 The ship was old but the staff on board so nice and helpful. Really fast landing in Salerno. 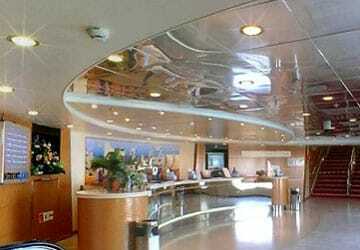 I spent nice time on board with friendly and helpfull crew. The only bad thing in the seats area was the temperature , max 15° and it was July. No one of the customer slept there. We all rest on the couches at the bar. I recommend this company. "Good, clean, friendly and helpful staff "
The ship departed quite a bit later and I have reflected this in my rating below. However, it made up time and we did arrive on time so I want to make that clear. 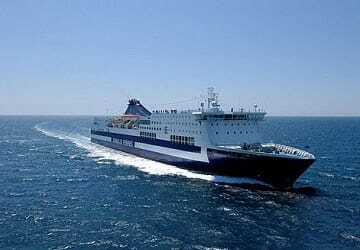 "Travel by ferry from Salerno to Palermo"
I travel with Grimaldi 8-10 times a year especially with Zeus Palace ferry. 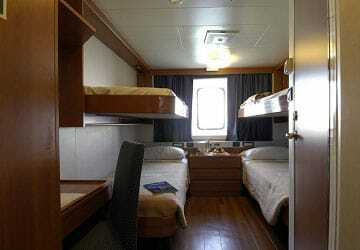 Friendly staff, cabins always clean and tidy. It's a shame that it's full of people sleeping everywhere on the floor so you can't spend time at the bar. Food at the restaurant not the best one that you can have. old ship but good services. 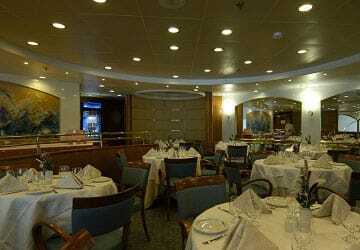 Great restaurant on board and deperture on time. Too many people with deck space on the outbound route, everyone was sleeping and eating on the floor. They should offer more seats. "3 hours late and no informations"
this is an excellent value and wonderful way to get to Sicily from Salerno. The trick is finding your way to the boarding area. I'd recommend a car service to take you. 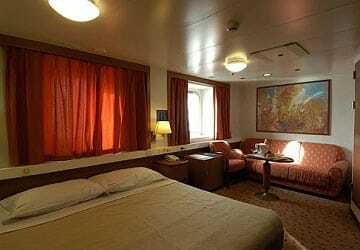 We booked a private room, which was clean and comfortable. 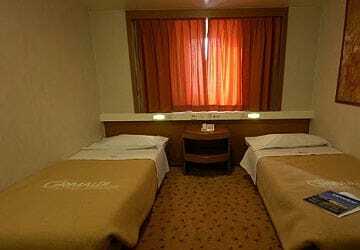 This is a no frills cruise but since you leave at 11 pm and arrive at 9 am, it's a perfect way to get some sleep and travel between the two cities. Well worth it! the ferry it's very good as well as the customer service, but it was a shame to mix the people with different tradition wih other passengers, because they occupyed 3 or 4 places and change themselves in front of everybody, due to this you can't completely enjoy this spaces. I'm very satisfied with the excellent experience. Unforgettable! I hope i will repeat this happy choice in other opportunities, and recommend. Our journey aboard Zeus Palace was perfect. Great service and friendly staff. "Journey between Salerno and Palermo there and back "
We have a pleasant journey through the shipping company Grimaldi, between Salerno and Palermo . The cabin was clean, comfortable. the start in both directions has occurred with a 2-2.5 hour delay, although an email from the shipping company has informed us about an earlier departure. apart from the delay we were happy. A pleasant crossing with the family, a quick check-in, a good timekeeping, a very good cabin at the front of the boat, an helpful staff.